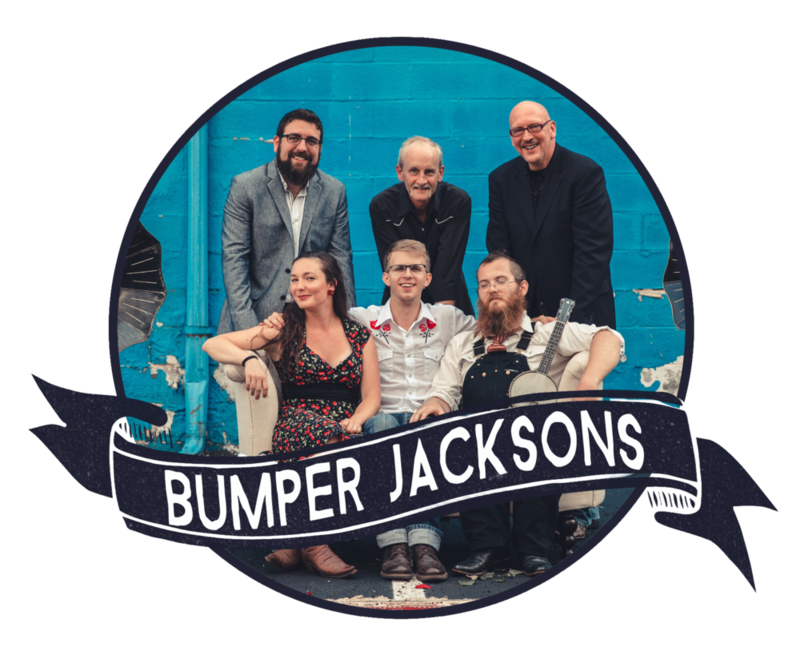 The Bumper Jacksons are hot and sweet, painting America's story from the streets of New Orleans to the hollers of the Appalachian mountains, to their vibrant, beloved cities of Baltimore and Washington, DC. Folding together early styles of jazz, blues, and country swing, the Bumper Jacksons strike a bold yet elegant balance between paying homage to the traditions and fashioning their own unique, DIY sound. 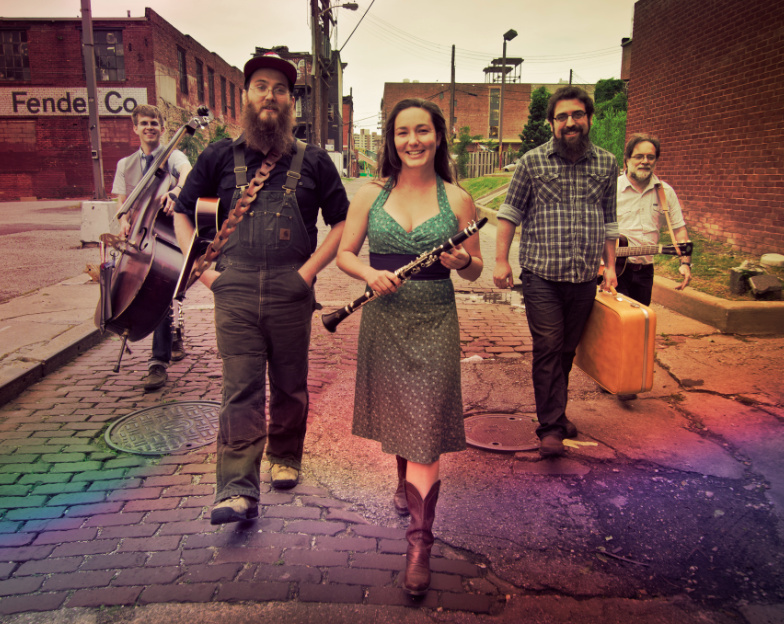 Bursting at the seams with rich threads of Americana, their playfully creative originals and reimagined roots music earned them “Artist of the Year” (2015) and “Best Folk Band” (2013-2015) at the Washington Area Music Awards. Frontwoman and Florida native Jess Eliot Myhre (clarinet, vocals, washboard) honed her musical chops in jam sessions in the streets and clubs of New Orleans, immersed in the music that fuels the city’s humid, carnivalesque all-night parties. In 2012, she met Maryland-born fellow songcrafter Chris Ousley (guitar, vocals) in Washington, DC, where the two joined forces to form the Bumper Jacksons’ core. Chris’ background in old-time banjo and bluegrass music harmonized perfectly with Jess’ vintage jazz credentials. 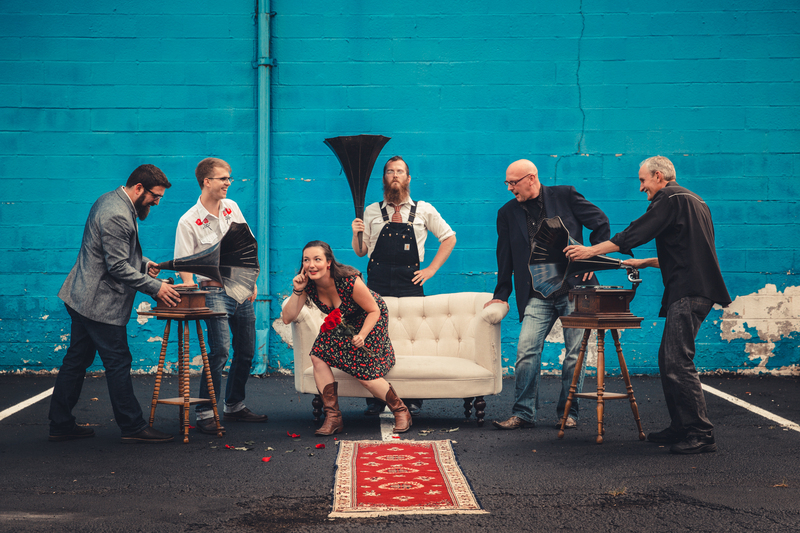 Together, they collect, arrange, and create songs that weave the high lonesome echoes of old rural America into the galvanizing sounds of the cities and artists that defined early American music. As they continue to evolve and explore the frontiers and histories of our nation’s dance music traditions, the Bumper Jacksons are poised to bringing their music—rich, raw, and true—to the rest of America.